Rand Fishkin is the real deal. This book is an honest, generous and useful look at what actually happens when you build a company, including the downs as well as the ups... I wish I had read it thirty years ago. This is a truly courageous book. It's one part business-building guide and two parts Indiana Jones-style adventure memoir. And if you've ever wondered if the 'timeless wisdom' you often hear about startups is bullsh*t, here's the proof. You won't find a more honest, raw, and helpful look into the trenches of founding a tech startup than this book. Rand Fishkin shares the rare hard-won insight no one else dares tell you. Rand Fishkin is like the industry friend we all wish we had - funny, warm, and refreshingly honest about the rollercoaster ride that is founding your own company. It's not that things went badly for Rand Fishkin; they just weren't quite so Zuckerberg-esque. His company, Moz, maker of marketing software, is now a $45 million/year business, and he's one of the world's leading experts on SEO. But his business and reputation took fifteen years to grow, and his startup began not in a Harvard dorm room but as a mother-and-son family business that fell deeply into debt. Fishkin's hard-won lessons are applicable to any kind of business environment. 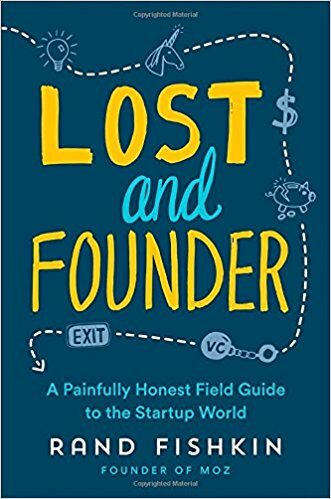 Up or down the chain of command, at both early stage startups and mature companies, whether your trajectory is riding high or down in the dumps: this book can help solve your problems, and make you feel less alone for having them.